That’s what I always told people who asked how I could have such a great attitude about my medical problems. That was before my uncle was diagnosed with cancer. I had no idea how true those words would ring. I would have gone to see him every day. I would have called him more. I would have sat and listened more. Instead of being afraid to talk to him, afraid to disturb him, I would have asked. I would have thanked him for everything. All the times he just sat and had coffee with me, or dinner. Thanked him for his guidance. For listening to me. For treating me like another adult family member; like my view and my opinion mattered. I would have told him just how much he mattered to me. It’s not very often that I question the way God works, or why He allows things to happen. But this is one of those times. I still needed him here. I needed him to talk with me and have coffee with me. I needed his guidance and his outlook. My husband needed his guidance and his example. Who is going to mentor him now? Who is going to sneak candy to my kids in plain sight? He won’t be there to see Cruz grow up. 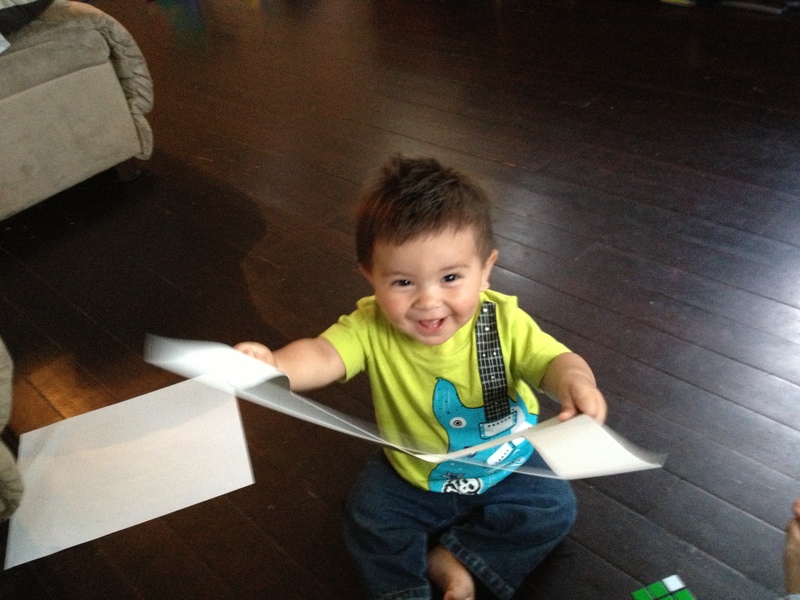 He hasn’t really even gotten to notice all the cute things Cruz does now. You know, if it weren’t for uncle Kreg, Cruz probably wouldn’t even exist. Sure, my husband always wanted another baby, and every only child wants a baby brother or sister, but it was my uncle’s constant “So when is the other one coming?” That finally broke my grudge against pregnancy. But he never really got to know him. And then I think about how selfish that is of me, because if I still need him that much, I can’t imagine what my aunt and my cousins must be going through. 25 years. They’ve been married for 25 years. They’re best friends. I can’t imagine what it must be like, after all that time, to look down the road without him. His oldest daughter’s baby is younger than Cruz. If I’m this torn over him not being able to see Cruz grow, I can’t imagine what she is going through. Or my middle cousin. 19 and going through college. He won’t be there when she graduates. He won’t be there to walk her down the aisle. Or watch her kids grow up. Or my youngest cousin. He’s only 16. He won’t even see him graduate high school. He claims he’s never having kids. Uncle Kreg won’t be there to change his mind like he changed mine. But we know where he is now. There is no questioning it. He is in heaven. He is with Jesus. He has no more pain; he is healed. He has a joy that we cannot even fathom. And he will be waiting when we get there. Uncle Kreg is still with us in some ways. Whenever the Oregon Ducks play. Whenever someone gives Promise, or Cruz, or his little granddaughter a cookie. Whenever we help someone, just because they need help. When I look at my kids, or my aunt, or my cousins, and remember how much he loved all of us. During his fight with cancer, uncle Kreg told me about a book he wanted me to read. A book about one young man’s struggle with the same cancer. I am reading the book now, and I feel so sorry that I never really knew what it was like when he was here with us. Many times, he told me that if he made it through, his dream was to spread awareness of this cancer. To speak in high schools and colleges and hand out this book that talks about the pain and loneliness of cancer in such detail. Such detail that it gave me nightmares. You see, my uncle had testicular cancer. A cancer that none of us had ever heard of, yet it is the most common cancer among men ages 15-35. It is also the most curable cancer – if you catch it early. By the time my uncle was diagnosed – because he passed out and went into seizures one night – it had already spread to his lymph nodes, lungs, and brain. It makes me angry to think that it is the most common cancer in young men, yet most people have never heard of it. Why isn’t there more awareness of this cancer that affects so many people? Awareness can save lives. It could have saved my uncle’s life. So I intend to help carry out my uncle’s plan. I intend to spread awareness. If he, one of the least, maybe THE least deserving person that I know, had to die, I will help make sure that it was not in vain. That it does not go unnoticed. Talk to your sons about testicular cancer. One awkward talk could save their lives. Dedicated to my uncle Kreg, who read my blog posts from the very beginning. 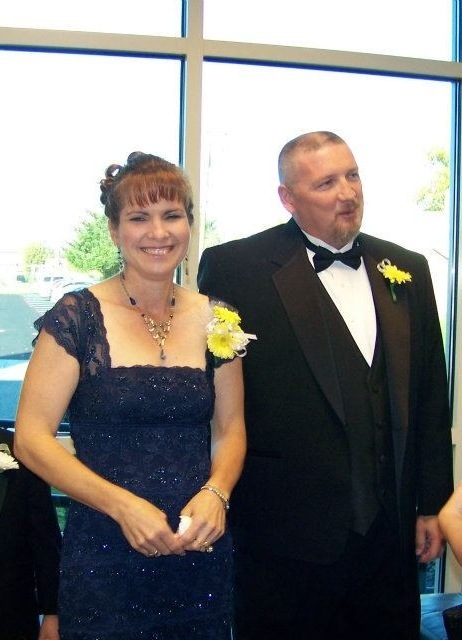 Aunt Brenda and Uncle Kreg at my cousin’s wedding, 2 months before he was diagnosed. 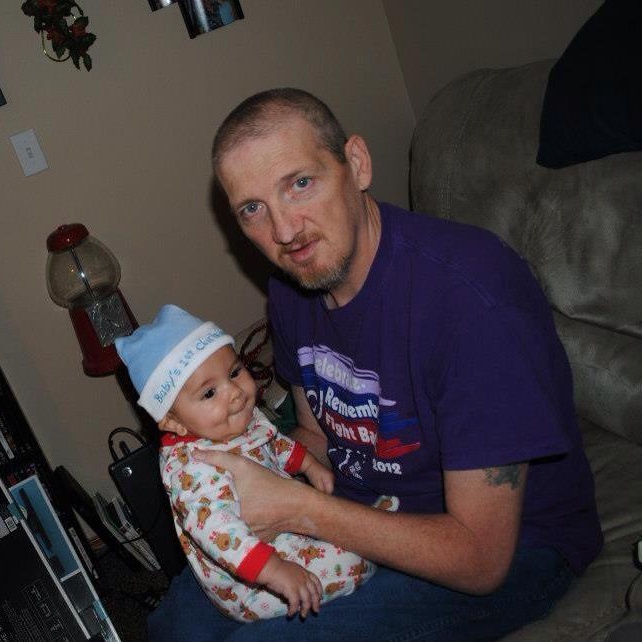 Uncle Kreg holding my son, Christmas 2012, almost 1 year after being diagnosed. Us at Relay For Life 2012. Uncle Kreg is in front. 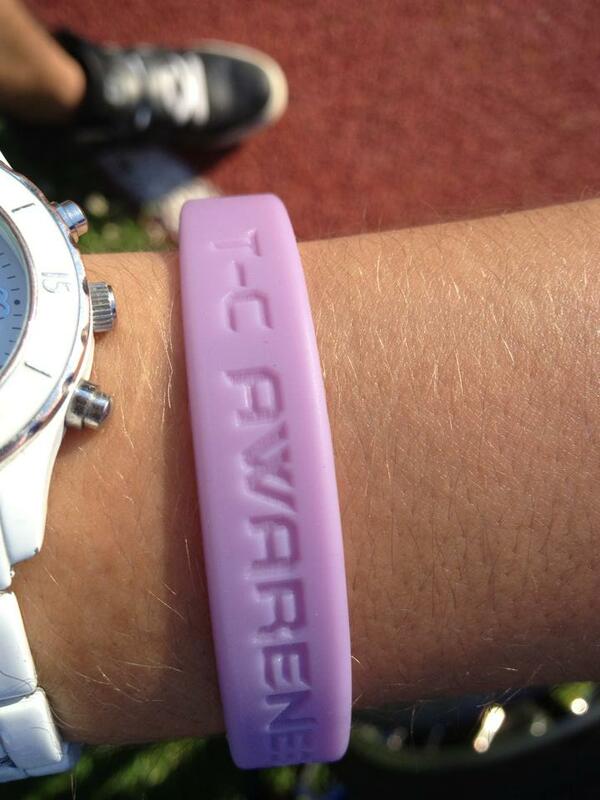 Testicular Cancer Awareness bracelets in orchid, the color of its awareness ribbon. I have to admit something. Something that I have never admitted to anyone. And now I’m telling (potentially) the whole world. Ever since my daughter was born, and even before that, as a kid when I imagined having my own kids, I wondered if my disability would be a point of embarrassment for her. I wondered if it would drive us apart. If the things I couldn’t do, which were less back then, would affect our relationship. If I wouldn’t have the same opportunity to be close to my kids as I would if I didn’t have a disability. I knew it would probably be ok until she started school. But then, maybe the questions, and probably teasing, from the other kids; mixed with the need to fit in, would turn her against me. Or maybe. Maybe I could teach her to be different. Maybe I could teach her that everyone is different. That we’re supposed to be different, because that’s how God made us. Maybe I could teach her to be friends with the kid everyone teases. To stand up for him, even when it’s not the ‘cool’ thing to do. That people who use wheelchairs, or leg braces, or walkers are just like everyone else. Maybe I could teach her to be a leader and not a follower. Maybe she wouldn’t see me any differently than she saw the other moms. Fast forward eight years, and it’s not as big of an issue as I worried it would be. There have been a few times when I wished I wasn’t handicap for her sake. Picking her up from school is like going back in time; all the kids staring at the girl who walks funny. I see the expression on her face and I know it bothers her. She tells me she doesn’t like when people stare because it’s rude and it might hurt my feelings. I’m glad she knows this. I’m pretty used to staring and usually I don’t let it bother me, but I’m glad she knows not to stare. Not to hurt someone else’s feelings. When I imagined being a mom, I imagined taking my kids camping and on hikes, helping build houses in Guatemala, or even just walking them to school. I can’t do any of that now, but I have to remind myself of the positives. The positives are that she is friends with everyone. That she doesn’t let the way people look or what they can do determine her friendships. 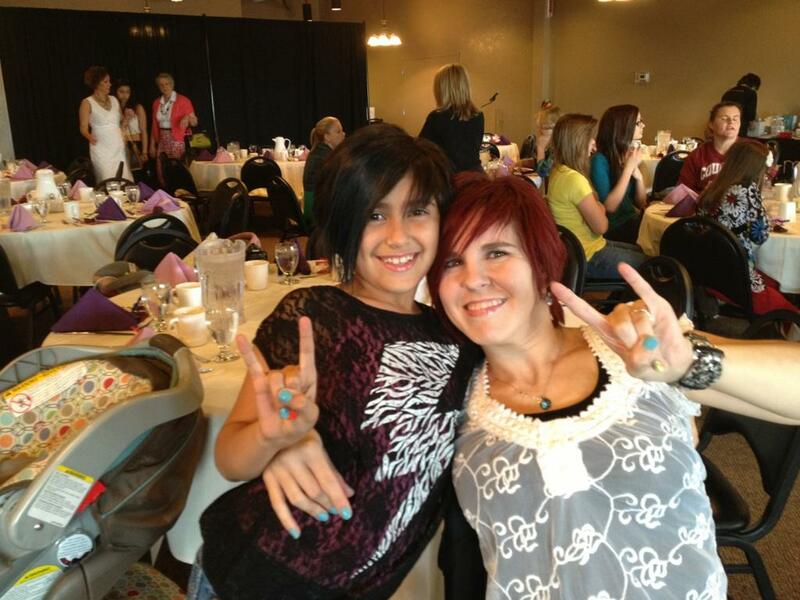 That she is just as good of friends with the girl in the wheelchair as she is with the one on the soccer team. She’s usually surprised when I thank her. Surprised because she didn’t know I heard what they said, and surprised that I am more glad that she did the right thing than upset at what the other person said. Needless to say, I don’t usually feel like the cool mom. When my friends are making blue pasta or spider web snacks for preschool out of pretzels and white chocolate, I can usually barely handle heating up leftovers or making a sandwich. While I would love to take them camping or to help underprivileged people in a third world country, there are times when I can’t even get off the couch to take them to the park. But that feeling changed last weekend. Last weekend our church hosted a ‘drive-in’ movie. They were going to show the movie Cars on the big projector screen in the sanctuary, and the idea was that parents would help make cardboard cars for the kids to sit in while they watched the movie. I love a good, challenging project, and this was fun because the whole family could get in on it, and then we could have some fun watching the movie and hanging out with friends. After finally finding some boxes the day before, we got to work. One of the boxes was big and long, so Romi decided he wanted a VW bus that she would decorate as a rock star tour bus. So I sat in a chair and directed while Sal carved out the design. Romi also decided she wanted it to be a convertible, so we had to get really creative. After about four hours, we had a convertible VW rock star tour bus, complete with license plates, working headlights and tail lights, a convertible roof, and a VW logo. Seeing those words was a turning point for me. A realization of something that I already knew in theory, but hadn’t let myself really believe: Being a cool mom, a good mom, a mom that is close to my kids, didn’t have to be determined by what I couldn’t do. I could let it be determined by what I could do. Maybe I can’t spend all day creating a Martha Stewart style dinner. I might never be able to take them camping and on a hike through the woods. But you know what? 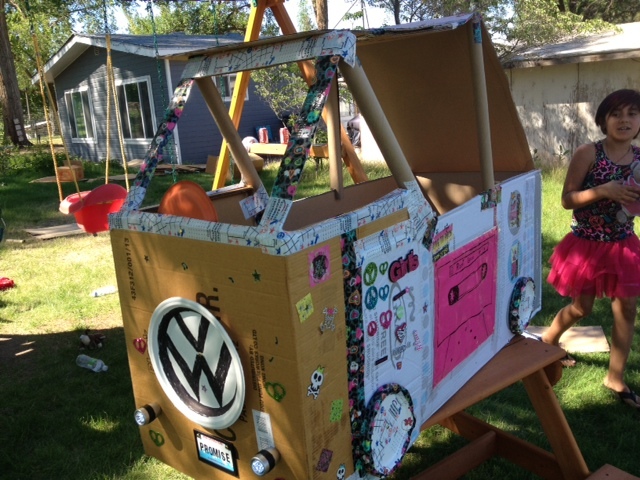 I can create a pretty awesome cardboard car while sitting in a chair. I can help her find videos on YouTube so she can learn how to do the worm and spin on her head, to work toward her dream of being a rocks star/hip hop dancer. I’m one of the few moms that would let her cut her hair short and dye her bangs red and blue, and I can even help her start her own blog. So yeah, maybe my cousin is right. Maybe I am the Coolest. Mom. Ever. Don’t let anything be determined by what you can’t do. Sometimes my disability frustrates me. Sometimes I am not as optimistic as I claim to be. Sometimes I wish it would disappear. I don’t always feel this way. I don’t usually wish I didn’t have CP or count myself unlucky because of it. A lot of time I don’t give it much thought at all. And when I do I am able to see the benefits of it instead of the downfalls. But every once in a while, I just wish it would go away. The past week has been a hard one. Hard to stand up, hard to sit down, hard to sleep. Hard to carry the baby, change his diaper, give him a bath. Hard to get the dishes done, or the laundry, sweep the floor. Just the thought of getting off the couch is overwhelming sometimes. Not because I’d rather sit and watch TV, but because I know it’s going to hurt more if I get up. And while most everyone would think “Okay, so just sit down and relax.” I can’t. I don’t know how. Sitting on the couch watching TV is a waste of time to me. I’d rather be living my life than just watching someone else live theirs. I want to have an impact on the world, but sometimes I wonder how I am going to do that stuck on the couch. I don’t want to sit and relax, I want to hike mountains, run marathons, build a house with Habitat For Humanity. I’m tired of offering to help with something, and then ‘warning’ them of my physical limitations. I just want to do what I want to do, and not have to think about whether I have the ability to do it. And for the times I really do want to just sit down because it hurts too much, usually I can’t. 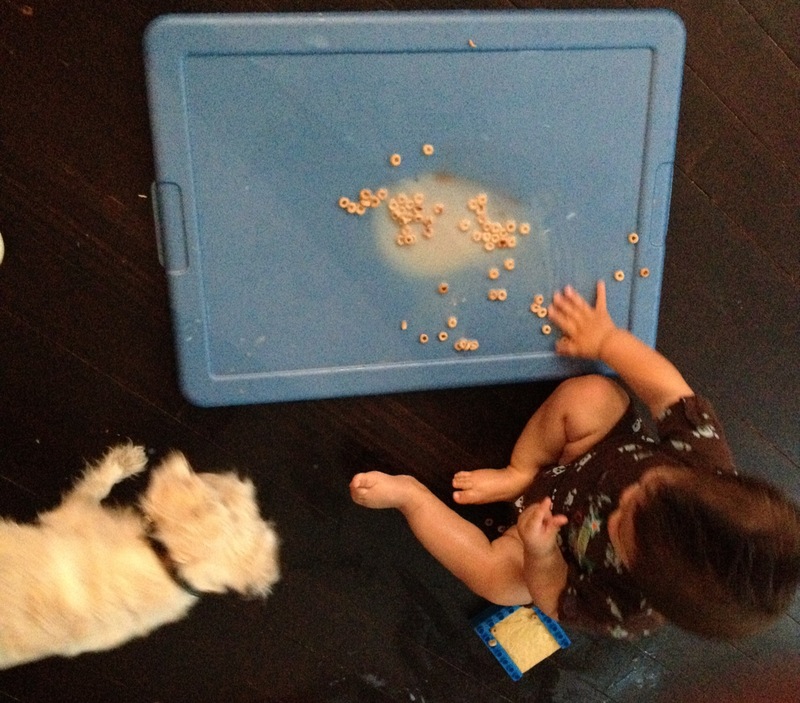 There’s a diaper to change or a baby to chase or dinner to make. Sometimes it makes me bratty. Sunday, I was a brat all day and I knew it. But I couldn’t change it. 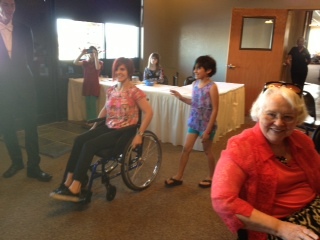 I took my wheelchair into church, because we were supposed to help greet and hand out bulletins. We were late getting there (because of my pain), so they already had it covered. I was frustrated that we were late (again) and missed out on helping because of my disability. In the service, the baby started fussing. I realized that we forgot to check him into the computer for childcare when we arrived, so my husband couldn’t just go drop him off at the nursery. The baby needed to be checked in first, but Sal didn’t know how to do it. I instantly got irritated with him for not knowing how to do it. This meant I had to do it. The reason I didn’t want to have to do it? Pain. I can’t hold a baby and wheel my chair. So I had to get up and carry him. Trying to stand up, I stumbled on the footrests of my chair, and almost fell. We were sitting near the front, so I felt like everyone saw. I needed the childcare card on the key ring, so I asked Sal for the keys. When he asked “What for?” I snapped “Just give them to me.” Because I wanted to do things quickly and not have a conversation about keys while people were trying to hear the sermon. In hindsight, it wasn’t very WWJD of me. So I took the baby and rushed out to the foyer. At the check-in computer, it would only give me the option to check out, not check in. I thought maybe if there’s someone in the nursery that knows me well, I can leave him anyway. Buuut then I realized I left the diaper bag, with his bottle, in the sanctuary, all the way at the front. I was not about to walk all that way past all those people and back with a crying baby. I looked at the keys in my hand and decided I’d just take him to the van and nurse him. The back seat has tinted windows and screens to block the sun, so nobody can see in. I hoped that Sal would notice I left the diaper bag and come to my rescue, but he didn’t. Oh well, I needed a time out anyway. When we were finally done, we went back inside, but everyone was coming out because the sermon was over. Sal came pushing my chair. I sat in it, and we tried to make our way through the crowd to find my daughter. He asked me a question, and when I answered, he didn’t hear me (a common occurrence when I’m in my chair). Someone else heard me and they said “What?”, so I told them that I was talking to Sal, but they didn’t hear me clearly and said “What?” again. Frustrated that nobody can hear me because I’m so far down and there are a lot of people around, I turn around to answer Sal. He had a Soda in his hand and his hand was over my sweater, so when I jerked around, his hand slipped and the soda splashed. He made a loud smacking sound with his mouth, indicating he was irritated. That hurt my feelings (again, in hindsight, he was irritated that the soda spilled, not necessarily with me). I felt like “Well, I don’t wanna be in this stupid chair where nobody can hear me, but I have to be.” So I got out of the chair and walked. On Tuesday we stopped at the store to pick up a few things. I wanted to take my wheelchair into the store, but the baby was asleep, so we needed the stroller, which meant I would need to push the cart. For the first time, I decided to use one of the motorized scooters the store offers. That way I could sit down, and there’s a basket on the front for the items we need. I’d never used one before, because I’m always afraid I’m going to run someone over or knock down a shelf, but now I had no choice. I was able to handle it ok without running in to anything, but all through the store I kept getting head shakes and eye rolls. I already knew why; in fact I kind of anticipated it. People see me, young and thin, and think I have no business being on that thing. That I’m just messing around, depriving some poor old lady who actually needs it. Same reason I get dirty looks in the handicap parking space. The fact is if I were 77 instead of 27, or if I were 50 pounds heavier, people would think I had the ‘right’ to use the motor cart. But I don’t ‘look’ like I need it. And kids these days just don’t respect anything. As one gentleman stood there staring with his hands on his hips, I thought “Say something. I dare you.” Again, admittedly not the attitude I should have had. Sometimes I just get fed up. Well trust me sir, I’d rather be walking around just like you. We went to the store again yesterday to pick up some supplies for a Relay fundraiser I’m working on. I used my wheelchair. And again when we went to the pharmacy. And you know something? I wasn’t in a whole lot of pain last night. I was able to sit on a stool and make dinner without having a breakdown about not being able to make dinner (something that’s happened every night this week. And at least once a week every week.) So it looks like the simple solution is to start using my chair when I go to the store or do other things that require a lot of walking, even if I don’t feel like I need to. I don’t like it, but it’s the smart thing to do. It will help me function better when I have to be on my feet. So there you have it. I don’t always see my disability as a blessing in disguise. Sometimes I wish someone else had gotten it instead of me. Someone that doesn’t mind sitting on the couch all day. But I have to remember that nobody has it perfect, and we all have problems we have to contend with. This is mine, and it’s not as bad as it could be. Something good will come out of it. I can still have an effect on the world, even if I have to do it from my couch. Sometimes it’s difficult, but this face makes it totally worth it. I’m interrupting my CP Awareness series to bring you some breaking news: Yesterday I got to model in my wheelchair. As some of you know, my uncle was diagnosed with cancer last January. 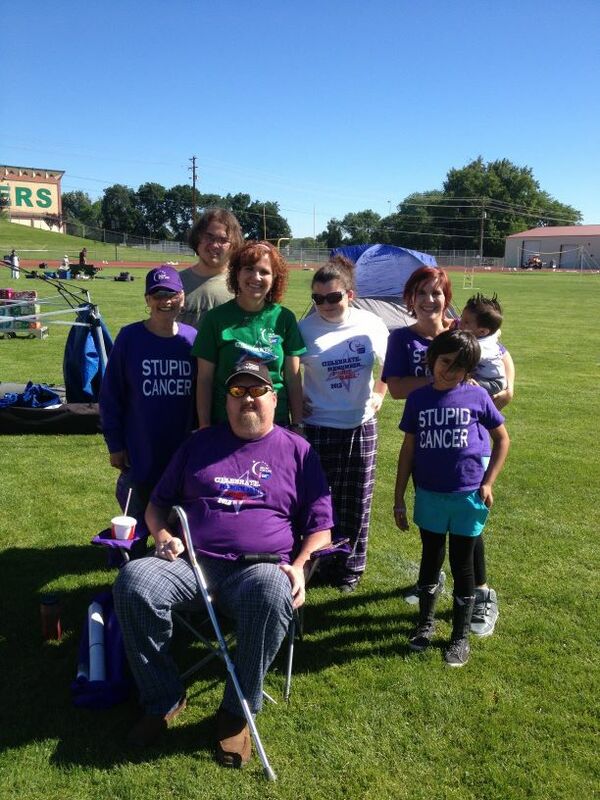 To show our support and help fight cancer, our family has participated in Relay For Life the past couple years. 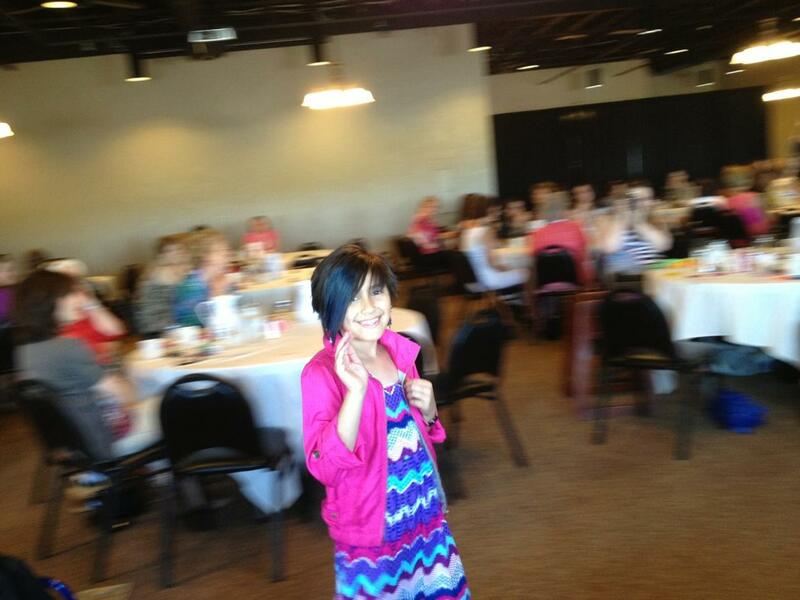 Macy’s does a Mother’s Day brunch and fashion show to support Relay For Life. They use volunteer Relayers to model some of their new clothing. My daughter loves to be in the spot light, so she was super excited to volunteer. They said they wanted mother/daughter teams, and she really wanted me to do it with her, but I wasn’t so excited. Let’s just say she doesn’t get her love of the spotlight from me. I wasn’t so sure, but I didn’t want to disappoint her. A million things ran through my head, the first one being a clear vision of me tripping and falling in front of a restaurant full of people. So I thought, what if I modeled in a wheelchair? I wouldn’t be as nervous, there would be no falling, and I wouldn’t have to worry about how long of a ‘runway’ it was or whether there would be chairs behind the curtains or in the dressing room. I asked my aunt about it and got into contact with the people in charge of the event. Everyone liked the idea, so reluctantly, I went for it. 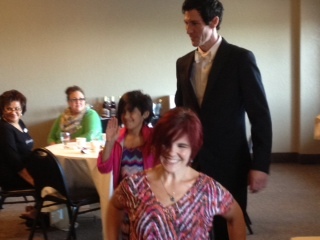 We had a fitting at Macy’s last Friday, and the brunch and fashion show was yesterday at a local restaurant. There were a few teams of models, including my aunt, cousin, and beautiful 7 month old niece, and the cutest, nicest, spunkiest little elderly lady I’ve ever met. I was pretty nervous up until the first couple teams went, and then I started to calm down. The weird thing is, in situations like this, it’s not the strangers that make me nervous, it’s the people I know. Am I alone in that? I was pretty sure my mom was gonna start cheering and clapping (Love you mom! ), but she didn’t. Somebody did do an “awww”. 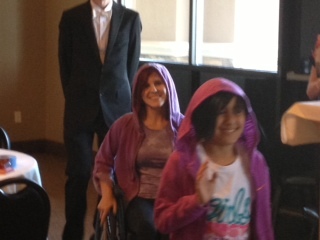 I hope they were doing it for my 8 year old… but I think they were doing it for my wheelchair. The ‘runway’ wasn’t too long, but there were no chairs backstage. The fitting room was the bathroom, so there were no chairs there either. I wouldn’t have been able to stand that long, and I can’t get dressed standing up, so I’m really glad I did it in my wheelchair. Romi and me before the show. Rock n Roll! Macy’s outfit #1. Just keep smiling!